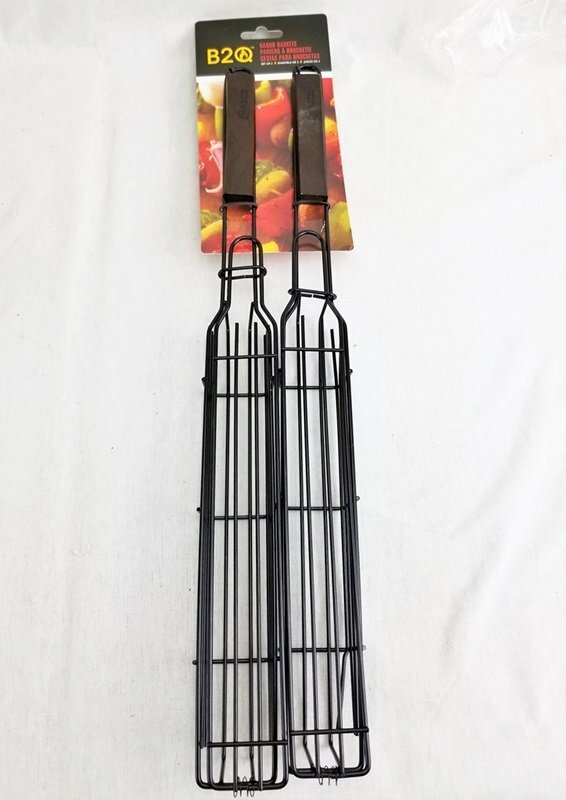 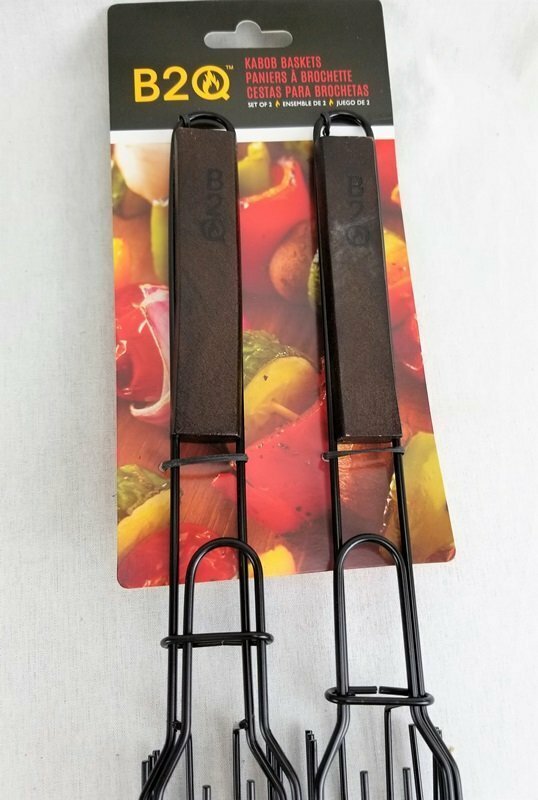 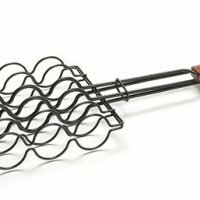 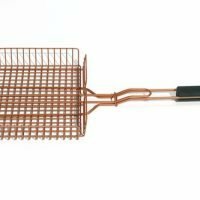 B2Q Kabob Grill Baskets are a great alternative to skewered kabobs. 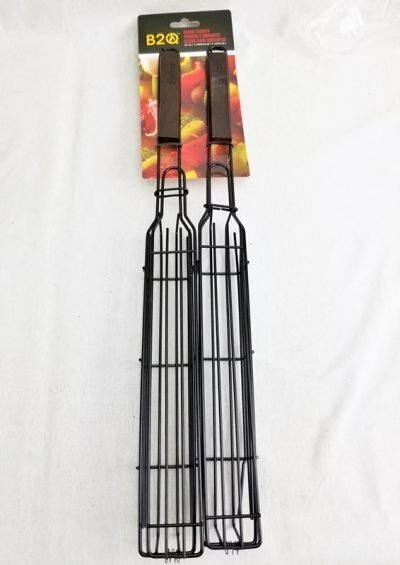 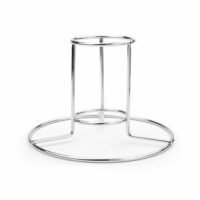 They come in a set of 2, just fill the baskets with meat, seafood, vegetables and fruits. Total length of each B2Q kabob basket is 19.3″. The long painted hardwood wood handle keeps your hands off the heat and makes turning easy. 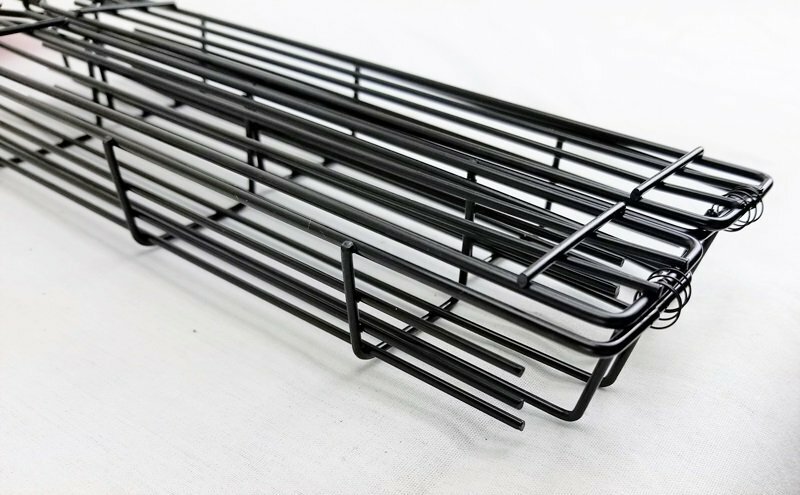 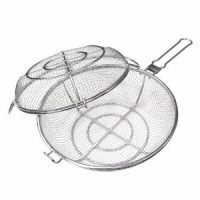 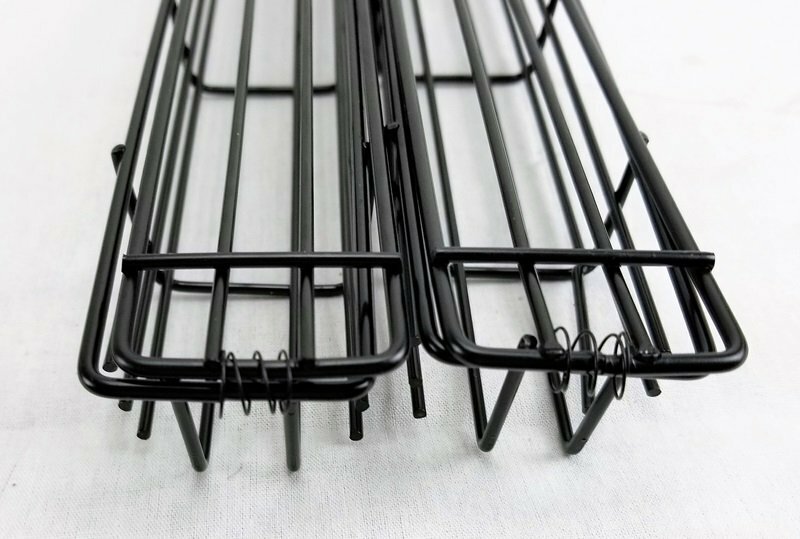 These baskets are made with a PTFS /PFOA free non-stick coated carbon steel. 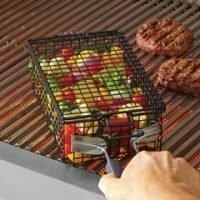 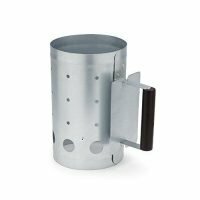 The grilling cage is 10.5 inches long and 1.5 x 1.5 inches square with a hinged locking lid. 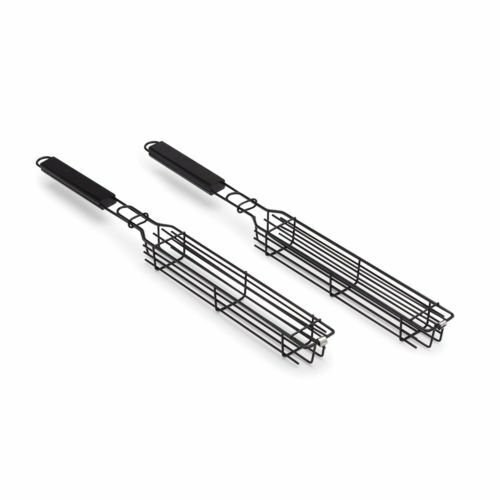 Do not use sharp utensils on non-stick coating, as this may cause scratching. Hand wash and towel dry only.